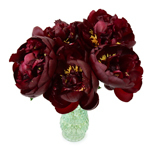 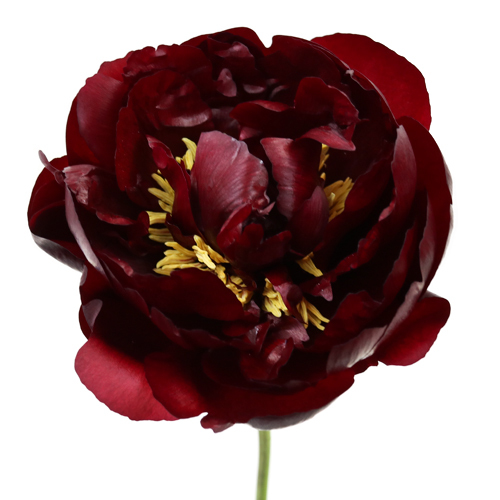 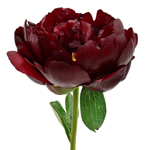 Add a sassy touch to arrangements with Burgundy Red Peony Flowers. 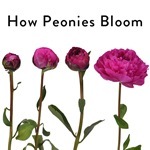 Peonies arrive in tight ball-like buds, but quickly start to unfurl into stunning, cloud-shaped blooms. 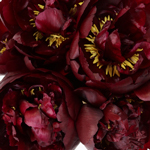 They are densely packed with ruffled petals, which have a blend of red, wine, and burgundy hues. 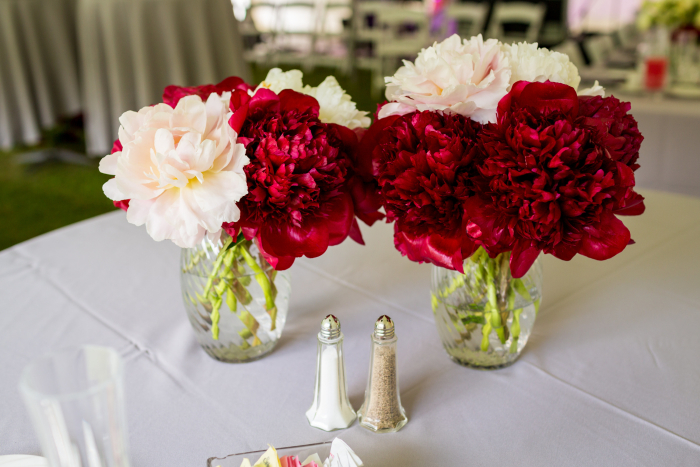 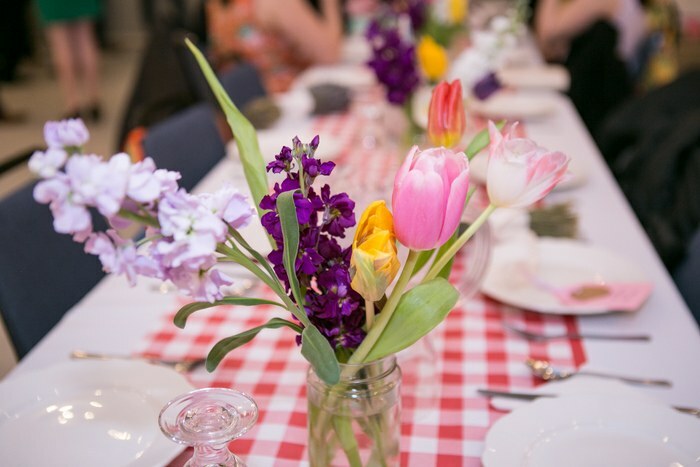 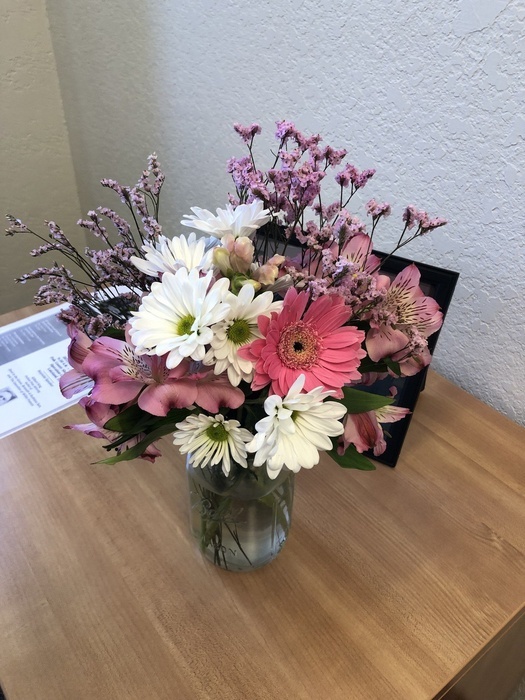 This is perfect for adding contrast to boho-inspired arrangements. 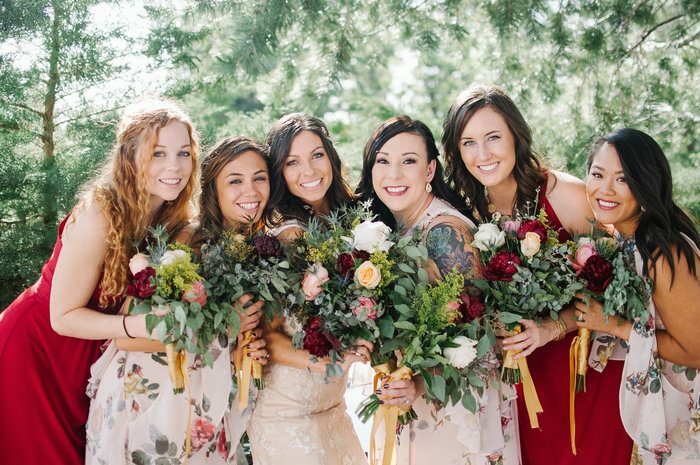 Pair with blooms like garden roses cream white blush, cumbia peach roses, solidago flowers yellow, and thistle blue flowers.